We stopped by in Greece for a few weeks before heading to the south and witnessed life in the middle of the financial crisis. There is no denying that the country is suffering despite the bailouts and international donations. So far people have been denying the gravity of the problem but now the reality is slowly sinking in. One can clearly hear and feel the downbeat atmosphere when speaking with people. We have been collecting books for our Global Nomad research. It’s been challenging as local libraries don’t offer much literature in English, and on the other hand getting rid of piles of books ordered from online book stores before heading back to the road is not an easy task. 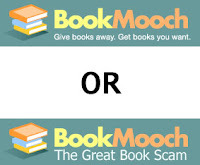 We discovered an Internet service called BookMooch that seemed to offer a solution. We have posted our latest quarterly newsletter to all subscribers. If you want to receive and/or read our letters, please sign up here. Enjoy! The Italians have many similarities with the Chinese. In both countries family ties are strong, government corrupted, there is trash everywhere, but people are most warm-hearted and hospitable. Moreover, in both countries people love to eat pasta (or noodles) and they feel strongly about their religion. The Chinese worship money and the Italians the Pope.